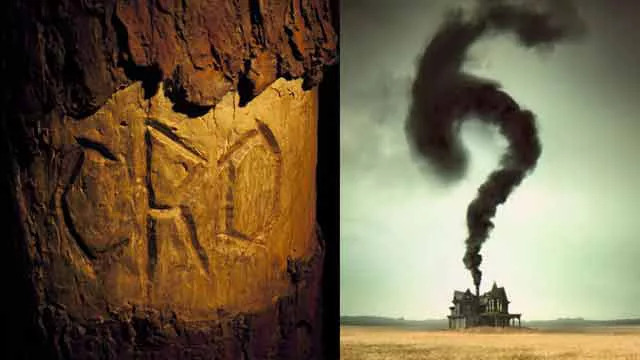 We find the giant question mark surrounding American Horror Story’s 6th season theme very fitting when combined with the rumors that it might involve the Lost Colony of Roanoke. Even if AHS pulls the rug out from under us on Roanoke’s involvement, the mystery of the theme and the questions about what really happened to the Lost Colony seem very fitting. One of the creepiest and most unsettling mysteries in the history of the United States might just be the story of Roanoke Island. Located just off the coast of North Carolina in modern day Dare County, Roanoke Island was home to a group of 115 settlers who went missing after a harsh winter in 1590. In 1584, Sir Walter Raleigh received permission and a charter from Queen Elizabeth I to travel to the new world to explore and colonize settlements in remote lands not under her rule. Raleigh sent a group of colonists to be governed by John White to the island of Roanoke where they established a settlement. 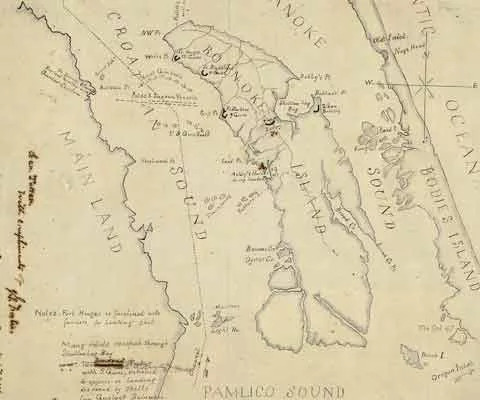 In 1587, 115 men, women, and children sailed to Roanoke Island with the hopes of forming a new settlement, but they instead became the stuff of legend. Governor John White sailed back to England to get more supplies for the colonists. His return to Roanoke was delayed by war and weather. White left behind several family members, including his own daughter and newly born granddaughter. He had expected that the voyage from Roanoke Island to England and back again would take well under a year, but it was actually three years before his return. When White returned on August 18th of 1590, instead of finding his friends and family waiting for him, he came back to an empty colony. All 118 people that White left in the colony were gone, and there were few signs to indicate what happened to them. There were no signs of struggle, attack or famine. They had simply vanished. The only evidence they found was the word “CROATOAN” significantly carved into a post and the letters “CRO” etched into a tree. The remnants of the colony were a few broken down buildings and not much else. 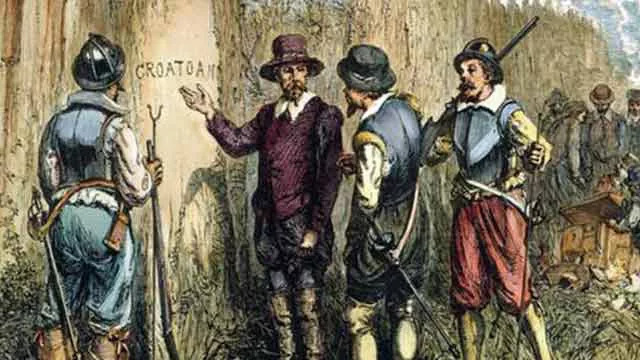 White assumed that the settlers took shelter with the local Croatoan Native American tribe on Croatoan island to the south. However, bad weather conditions and other factors forced him to abandon the colony and move back to England. The word “Croatoan” could have meant several things. It could have referred to the Native American inhabitants, or it could refer to the island itself. Dozens of theories now exist about what actually happened to those colonists. The most common theory is that the harsh winters left the colony with few supplies. Those who survived may have sought shelter with the Native American tribe, which might explain why later settlers reported seeing white children and people with red hair living with that tribe. Other stories are a little more gruesome and even supernatural. One theory claims that the settlers left the island in the hopes of finding help, but that they encountered a number of problems that led to each one dying. The Dare stones, which appeared in the 1930s, back up this theory. 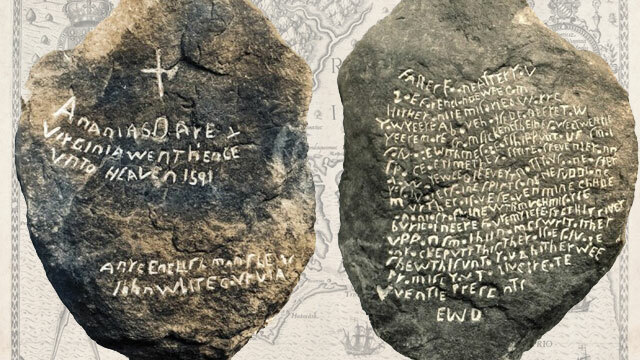 The Dare Stones had a series of messages carved into them and are said to be from the Roanoke settlers. These stones allegedly tell the story of what happened to each survivor from the survivors themselves. They are named the Dare Stones after Eleanor White Dare, the daughter of John White. Eleanor Dare’s stone was the first to have been found in 1937. Eleanor’s stone stated that her daughter and husband were both dead and that savages had killed the rest of the colonists. The stones weave a tale that is not the easiest to follow. Some tell of a sanctuary and some say that a tribe bore ill-will with the colonists. The stones were dated back to the 1590s, but continue to leave enough to the imagination that things did not go well for the Lost Colony. However, the Dare Stones were said to be fakes in 1941. A journalist questioned the stones authenticity as well as the character of the stone’s finders. The stones are not recognized as genuine today, but their authenticity has also not been completely ruled out either which continues the mystery. An even more gruesome theory claims that Spanish explorers found the island and either murdered or kidnapped the survivors. There are even rumors that the settlers encountered dark spirits on the island and that those spirits ended their lives in grizzly ways to protect the local Croatoan people. If they did come to an untimely end, it might explain why visitors see strange lights, hear whispers and see orbs on Roanoke Island today. New evidence found by archaeologists working in the south may prove what actually happened. Bones and other evidence dug up in multiple sites led researchers to believe that the survivors actually formed two different groups and set off on a journey away from the island to find help. This evidence includes English pottery that predates the first recorded English settlers to arrive in the region after the first colonists. Other evidence included tools unlike those used by local tribes and weapons. Some believe the colonists encountered something so deadly and so dark that they had no choice but to flee for their lives. Fans of this historic mystery can look forward to learning more about the colonists and seeing what Ryan Murphy thinks happened during the sixth season of the hit television series American Horror Story. Murphy, the man behind other hit shows like Nip/Tuck and Glee, created the anthology series in the hopes of telling a new unsettling story every year. 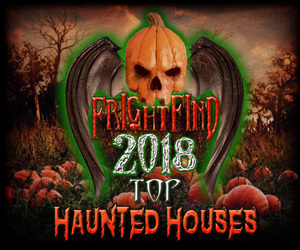 The first season focused on a family who experienced weird things after moving into a haunted house. 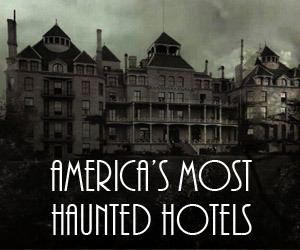 Later editions of the show took place in a mental institution, a circus sideshow, a creepy hotel and a home belonging to a coven of witches. What will the AHS theme be? As with previous editions, Murphy refuses to spoil the upcoming season with any new details. When photos leaked of the cast working in Santa Clarita, California, many surmised that the show would focus on the Lost Colony. The only thing fans know so far is that the show will focus heavily on children, leading some to wonder if the new season will tell the story of Virginia Dare and the other lost children of that colony. Despite not filming on Roanoke Island, leaked photos show historic buildings taking center stage in the new season. With wood clapboard siding, blown glass windows and thatched roofs, these buildings look just like those the colonists lived in while on the island. 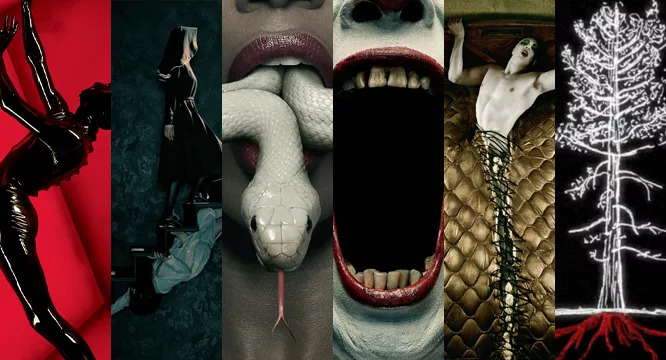 Fans can look forward to seeing classic faces from previous seasons like Evan Peters, Kathy Bates, Denis O’Hare, Matt Bomer, Wes Bentley and Lady Gaga, however Jessica Lange will not be reuniting with the AHS cast. The new season of American Horror Story will also feature some new additions to the cast like Oscar winner Cuba Gooding Junior. 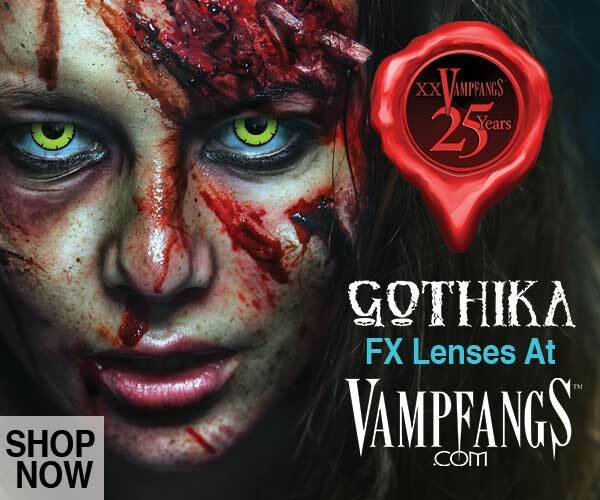 There are also rumors that the new season will jump back and forth in time between modern days and the original settlement on Roanoke Island. This will likely explain what happened to the survivors left behind by White and connect their stories to a modern day plot. Murphy teased that the new season will have a connection to the first season of the show too. If American Horror Story does involve the mystery of Roanoke Island we’re in store for another interesting ride come this September 14th.